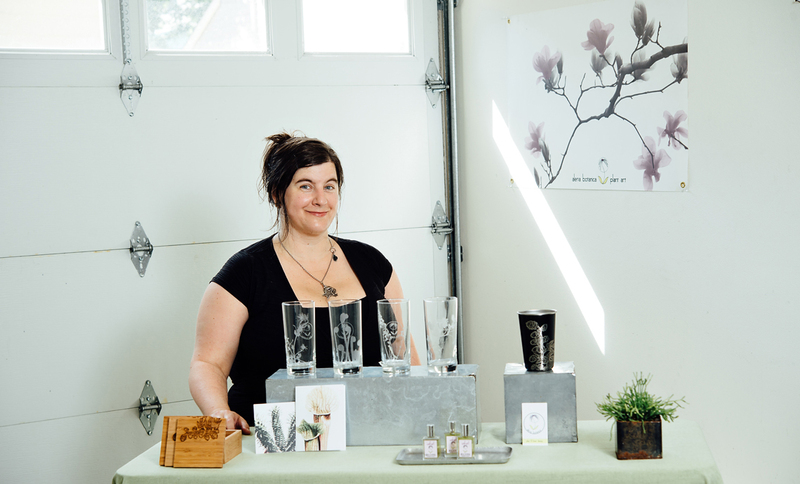 Meet Your Local Business: Alena of alena botanica! I design plant & hop inspired products, including home goods, glassware and apparel. I’ve been in business for about 10 years and use local fabricators to help create my products. Each of my designs tells a story about the plant and comes from an original photograph. How long have you been doing business in Montavilla? I’ve been living in Montavilla for about 6 months. Prior to that, I lived in the Foster-Powell area. 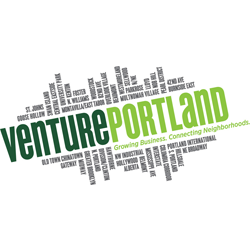 I’m originally from Canada, but Vermont had been my home until I moved to Portland 3 years ago. I lived in Eugene in the 90’s after college. What might readers be surprised to know about you? Despite being a big plant geek, I’m not a vegetarian! I’m also proud to say that a brewing company I worked for in Vermont, The Alchemist, brewed a beer after me – the Alena IPA! I love visiting Portland’s nurseries. I’m a member of the Hardy Plant Society, so I always try to get out to open gardens. I’m a frequent traveler as well; I have a passion for the SW (New Mexico in particular) and find inspiration for my designs in the desert landscape. Oregon’s quiet coastal towns have been frequent destinations for me too. What does a perfect day in Montavilla look like to you? If I’m feeling extroverted, I’d start my day at Mt. Tabor Roastery on Glisan with my favorite blend, the Columbia. Afterwards, I’d hike up to Mt. Tabor. Later, I’d do some shopping at Union Rose and Maven in downtown Montavilla. Before seeing a movie at the Academy, I’d enjoy my favorite drink at Montavilla Brew Works, the Flam Tap IPA. Finally, I’d end my night by enjoying a Ginger Beer at the Observatory and getting some pizza at East Glisan Pizza Lounge. They have one of my favorite Happy Hours and it’s very close to home. If I am feeling introverted, I’d grab a coffee from Hungry Heart and spend the day working in my studio. When you were a child, what did you want to professionally? I actually wrote an essay in 8th grade talking about how I want to design things. I always used to think about rearranging furniture and loved to sketch and take photographs. I ended up receiving an education in biology, horticulture and landscape design. As time went on, I discovered my artistic side and my love of photography, plants and design melded together to create alena botanica, a plant-inspired design studio.